May data has been released for the UK House Price Index, showing an annual rise of three percent, with a monthly rise registering at 0.1%. This is the lowest UK annual rate since August 2013, which also registered at three per cent. From data across England, the East Midlands was the fastest growing region with an annual house price growth rate of 6.3%, up from 5.1% in the previous month. London was the slowest growing region, falling by 0.4% in the year to May 2018, down from -0.3% in the previous month. This is the fourth consecutive month that London house prices have fallen over the year. Looking across the country, the largest annual price growth was recorded in Scotland, where house prices increased by 4.9% over the year to May 2018. Northern Ireland was not far behind, showing a 4.2% increase over the year. Wales saw a modest increase of 1.0% over the last 12 months, while in England, the average price increased by 2.9% over the year. Looking at the demand for housing, the Royal Institution of Chartered Surveyors’ (RICS) UK Residential Market Survey for May 2018 revealed their new buyer enquiries series continued its downward trend. On the supply side, RICS reported their new instructions series showed a positive balance for the first time in 27 months. In the Bank of England’s Agents’ summary of business conditions for the period covering late March 2018 to late May 2018, Agents reported supply and demand were broadly in balance across the whole market. The market for new builds was much stronger than the market for existing properties. 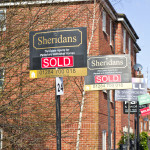 However, there were some reports suggesting that new builds are becoming more difficult to sell compared to a year ago. Activity is expected to remain subdued and house price inflation to remain modest.